Ever since the 1960’s Spain’s Costa del Sol has been attracting hundreds of thousands of visitors a year. Drawn by the near perfect weather when it only rains in the spring and autumn the Costa del Sol not only has the sunshine, but no end of bars restaurants and attractions to cater to all tastes. Whether its spectacular mountain scenery, theme parks or an adventure exploring cliffs and hidden coves the Costa del Sol offers not only value for money but adventure around every turn. Having omitted what we consider to be the most well-known attractions on the Costa del Sol, we have come up with our own list of five amazing things to do here that you might have never heard of. 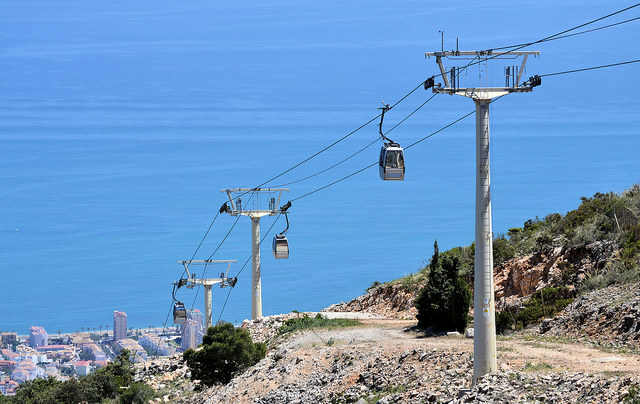 Climb aboard the modern four-seat cabins for an exclusive ride up Mount Calamorro, where at an altitude of 769 meters you will be rewarded with spectacular views of the Costa del Sol. On a clear day, you can even see the Rock of Gibraltar and the African coastline with Morocco’s Rif mountains in the distance. Once at the summit you are free to explore over two kilometers of well-marked paths and watch a bird of prey show that features vultures, eagles, owls and falcons soaring high above the Mediterranean Sea. Ticket prices vary depending on the time of year with family and group tickets available as well as discounts for seniors and children. Worth every penny, this is an awe-inspiring and thrilling experience you won’t forget in a hurry. While in Benalmádena why not combine a cable car ride up Mount Calamorro with a trip to the Butterfly House. 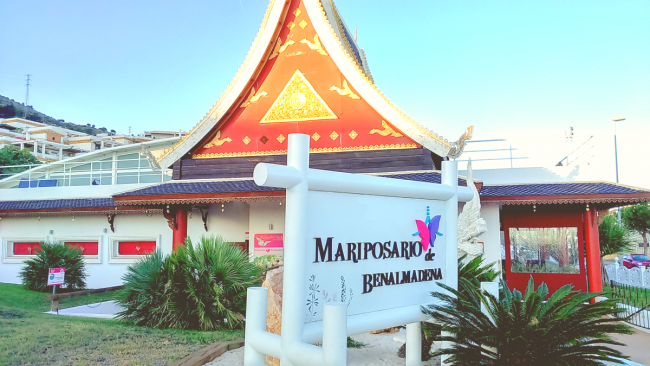 Located next to the Thai temple the Butterfly house Benalmádena is home to more than 1,500 exotic butterflies collected from around the world. 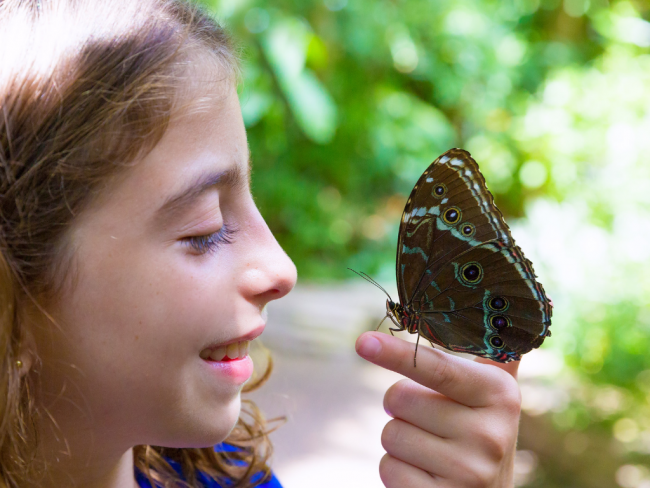 In the Butterfly House, the insects are allowed to fly freely amongst the tropical vegetation and waterfalls that make up their natural habitat. 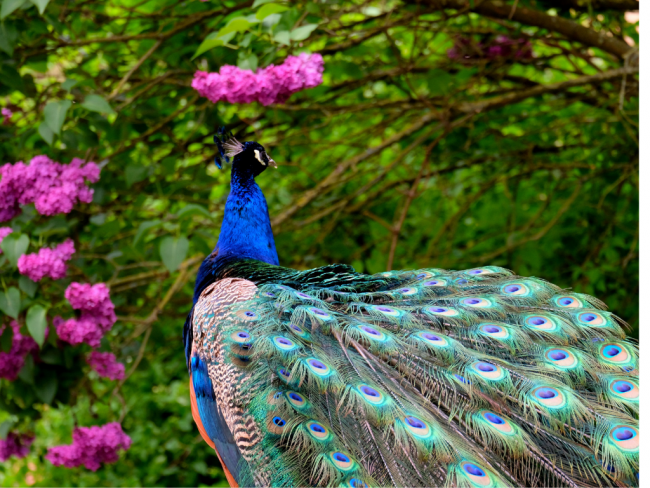 Rated the number one park of its kind in Europe the park strives to teach visitors about the sustainable use of even the most diverse ecosystem’s while carrying out a breeding program to ensure that even the rarest of species can survive in today’s modern world. The park is open every day from 10.00 to 18.30 hrs with ticket prices at 10€ for adults and discounts for children and visitors aged over 65. Set right in the heart of Benalmádena just 300 meters from the sea, La Paloma Park or Pigeon Park in English is an oasis of calm and a favorite meeting point at weekends. Entirely man made the park covers 200,000 square meters with a large artificial lake that ducks, swans, and turtles call home. Younger members of the family will love that the park is also an impromptu sanctuary for peacocks, rabbits, goats and even a couple of donkeys. In the park, you will find plenty of nice walks, two children’s playgrounds and no end of benches to sit and relax away from the hustle and bustle of one of the Costa del Sols most popular towns. The best thing of all is that the park is entirely free and a wonderful place to visit on a warm summer evening. A relative newcomer to Benalmádena, Selwoo Marina is a place where you can get up close and interact with sea lions and dolphins. In addition to the animal performances, you can also learn about the different Penguin species and take a tour of a tropical aviary or rainforest complete with monkeys. You can also take part in a VIP experience that lets you meet the dolphins, swim with the sea lions and feed the penguins. 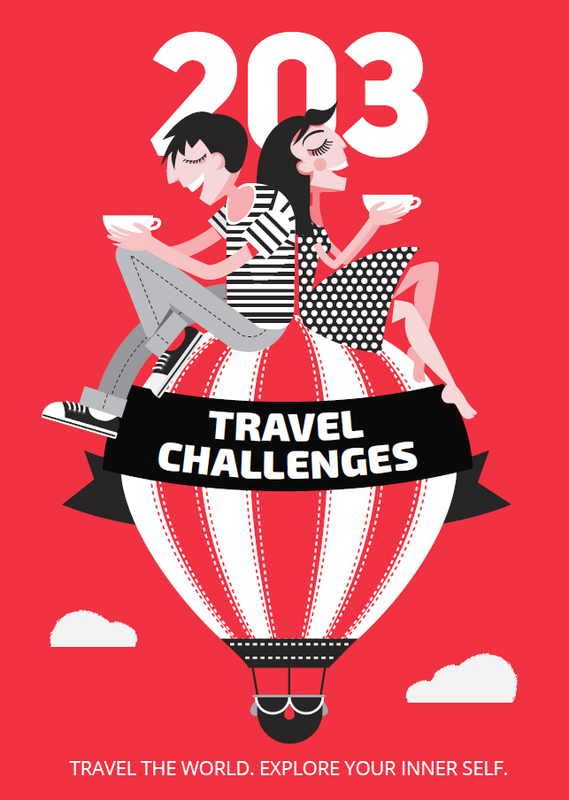 Various prices are available starting at 21€ for adults with big discounts for children seniors and families. You can also save up to 25% by purchasing your tickets online. We saved our favorite Costa del Sol experience for last, this time in Nerja. Nerja is in the other direction to Benalmádena and is just a 60-minute transfer from Malaga airport. Nerja may be less built up than the west of Malaga is, but there are still fantastic things to do here. 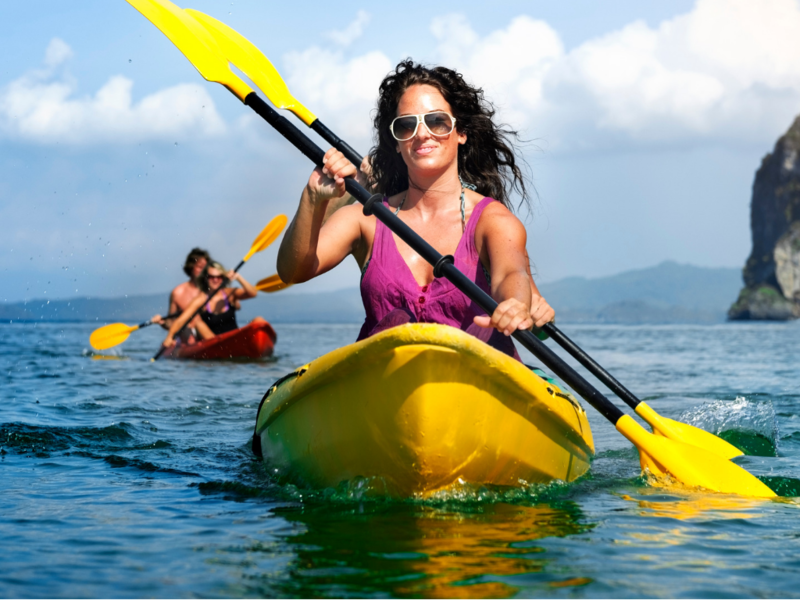 One superb activity is kayaking from the popular Burriana Beach all the way to Maro while exploring hidden coves and beaches. Children will have the time of their lives paddling under waterfalls that include the spectacular 15 meters high Maro waterfall. Both single and tandem kayaks are available for rent for either the 2 or 4 hours tours. Safety is the main concern with all participants given a short lesson in kayaking prior to departure. As an added bonus, you also get issued with snorkels and masks so that you can swim amongst the fishes in a marine nature reserve. Prices start at 20€ for adults and 10€ for children between the age of 8 and 15. Here are just a fraction of some incredibly fun activities that are worth seeing and doing on your next visit here.